Jay Hoffman is a Partner and the Leader of Miller Thomson’s National Corporate, Mergers and Acquisitions and Securities Practice. 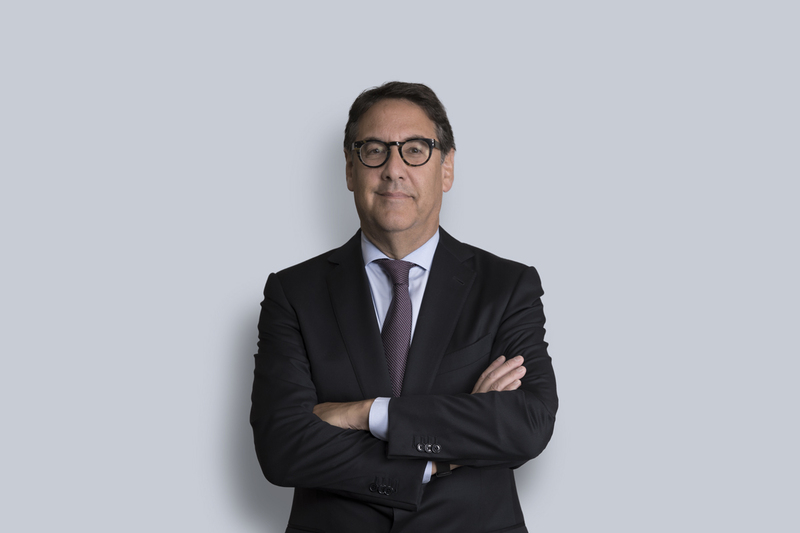 His practice focuses on merger and acquisition and capital markets transactions, as well as providing advice to clients on corporate governance matters. He has over 25 years of experience advising clients on a broad range of corporate and securities law matters. Jay frequently acts for both domestic and international public and private corporations, independent board committees, financial advisors, and private equity funds in connection with acquisitions, divestitures, proxy contests and restructurings. He also acts for issuers and underwriters in securities offerings in the domestic and international capital markets. Jay advises clients on the corporate and securities law issues associated with the development of structured financial products, and in 2007 and 2008 he represented a committee of noteholders in connection with the restructuring of the $32 billion Canadian market for structured asset-backed commercial paper. He also has acted as corporate counsel in numerous shareholder disputes, and has advised a number of family-owned and other closely held private companies on governance and succession matters. Jay has experience with transactions in the mining, real estate, technology, manufacturing, transportation, broadcasting, defence, pharmaceutical, healthcare, and financial services sectors. Early in his career, Jay was seconded to the Corporate Finance Division of the Ontario Securities Commission, where he participated in the regulation of the capital markets and the development of Commission policies, including policies related to the regulation of derivative securities. Jay is actively involved in various continuing education programs and is a frequent speaker at seminars and law schools. He has developed and taught securities law courses at the University of Western Ontario Faculty of Law, the University of Windsor Faculty of Law, and Dalhousie Law School. Visa Canada Corporation, which provided financial support to Air Canada together with The Toronto-Dominion Bank (TD) and Canadian Imperial Bank of Commerce (CIBC) in connection with Air Canada’s acquisition of Aimia Canada Inc., owner and operator of the Aeroplan loyalty business, for $497 million which includes the assumption of approximately $1.9 billion of Aeroplan Miles liability. Visa also entered long-term agreements with TD and CIBC to continue as network partner for credit cards issued under Air Canada’s new loyalty program. Oromin Explorations, a TSX listed gold exploration company with a joint venture interest in assets in Senegal, in connection with an unsolicited cross-border share for share takeover bid by Teranga Gold Corporation which was ultimately supported by Oromin at an improved share exchange ratio. Cangene Corporation, a TSX listed biopharmaceutical and biodefense manufacturer, in connection with the acquisition of all of its outstanding shares by Emergent Biosolutions Inc. for US $222 million by way of a plan of arrangement. Inter-Citic Minerals, a TSX listed gold exploration and development company with its assets in China, in connection with a strategic auction resulting in a $250 million acquisition of all of its shares by Western Mining Group, a Chinese state owned mining company, by way of a plan of arrangement. The special committee of the boards of directors of the VenGrowth Funds in connection with a strategic auction resulting in a $400 million merger with Covington and the successful defence of a hostile proxy contest by GrowthWorks designed to block the merger with Covington, including a successful application before the Ontario Securities Commission to cease trade the initial solicitation of proxies by GrowthWorks. The special committee of the board of directors of Economical Mutual Insurance Company in connection with its successful defence of a hostile proxy contest for control of the Economical Board related to the proposed demutualization of Economical. Economical Mutual Insurance Company in connection with a dual track process to demutualize involving a search for a demutualization sponsor. The special committee of the board of directors of The Homewood Corporation in connection with an unsolicited takeover bid by Callisto Capital and a white knight supported bid for $135 million by Schlegel Health Care. Inter-Citic Minerals (a TSX listed company) in connection with a 19% strategic investment by Zijin Mining (a Chinese gold mining company), and a related voting trust, standstill and pre-emptive right agreements. PT Healthcare Solutions, a Canadian private company, in connection with a 26% strategic investment by Quindell Portfolio PLC, a London Stock Exchange listed company, in consideration for freely tradeable shares of Quindell and put/call rights to trigger an acquisition by Quindell of the outstanding shares of PT Healthcare on a share for share exchange. An interested party in the $2.3 billion acquisition of Alliance Atlantis Communications Inc. by CanWest Global Communications Corp. by way of plan of arrangement. The acquiror in connection with a cross-border unsolicited bid for an interlisted uranium and nickel mining company. The special committee of the board of directors of an integrated oil sands corporation in connection with a $700 million transaction. The special committee of the board of directors of a transportation company in connection with a review of its strategic options and approaches by a number of potential acquirors. Numerous boards of directors of target corporations in connection with unsolicited acquisition proposals by potential acquirors. Pinnacle International Lands, Inc. in its acquisition of Lorus Therapeutics Inc. by way of plan of arrangement. The financial advisor to PWC Capital Inc. in connection with amendments to the terms of its Class B Preferred Shares. The financial advisor to PWC Capital Inc. in connection with its recapitalization and merger with Versabank, a branchless and digital Canadian Schedule 1 chartered bank, by way of an amalgamation under the Bank Act (Canada). The financial advisor to Lundin Mining Corporation in connection with its proposed $9 billion merger with Inmet Mining Corporation by way of plan of arrangement and a subsequent unsolicited takeover bid by Equinox Minerals for the shares of Lundin. The financial advisor to Lundin Mining Corporation in connection with its $932 million acquisition of Rio Narcea Gold Mines Ltd. The financial advisor to Palmarejo Silver and Gold Corporation in connection with its $1.1 billion acquisition by Coeur d’Alene by way of plan of arrangement. The financial advisor to Arius Research Inc. in connection with its $191 million acquisition by Roche by way of plan of arrangement. The financial advisor to Pulse Data Inc., the target of a $120 million unsolicited take-over bid by Seitel, Inc. The financial advisor to Aurelian Resources Inc., the target of a negotiated share exchange take-over bid by Kinross Gold Corporation. The financial advisor to East Asia Minerals Corporation in connection with the $83 million sale of its Mongolian subsidiary to Areva NC. A principal shareholder in connection with the sale of its $80 million control block of Softchoice Corporation. Conexant Systems, Inc., a U.S. public company, in connection with the spinout of certain of its assets and the collapse of an Exchangeable Share structure established in connection with a prior Canadian acquisition. Canadian Pacific Limited in its reorganization to create Canadian Pacific Railway Company by way of a plan of arrangement including a consent solicitation to approve changes to the U.S. dollar debt and conversion or purchase of Perpetual Consolidated Debenture Stock issued without a trust indenture and with interest payable in U.S. gold coin. A U.S. investment funds manager in connection with its investment in a TSX listed closed-end investment corporation and advice regarding strategic alternatives, including a shareholder proposal and a possible take-over bid for the shares of the closed-end fund. Myers Industries Inc., a NYSE listed manufacturer of polymer products, in connection with its US $157 million acquisition of substantially all of the assets of Scepter Corporation, a Canadian manufacturer of plastic moulds material handling products. Dealer Tire, LLC, which manages replacement tire and parts programs for more than 20 automotive OEMs, in the acquisition of the assets of Dealer Tire Canada by Groupe Touchette Inc., and with respect to the negotiation of a long-term Technology Services Agreement between the companies. WISI Communications GMBH & Co. KG, a provider of broadband reception and distribution technologies, in its acquisition of a majority of the shares of Inca Networks, a provider of video delivery solutions for linear and multiscreen TV content. Hologic, Inc., a leading manufacturer and marketer of medical devices, in connection with its $85 million (plus a two year earn out) acquisition of Sentinelle Medical Inc. by way of plan of arrangement. US-based Key Knife Inc., a manufacturer of custom chipping, flaking, and planning solutions for the global wood products industry, in its cross-border acquisition of Haskins Industrial Inc., a Canadian power tool manufacturer. The Creative Planogram Company, Canada’s leading marketer and distributor of quality, on-trend impulse products servicing over 7,000 retail locations, in its acquisition by a Canadian subsidiary of US-based SRP Companies. A joint venture party in connection with a North American logistics and electronic commerce joint venture among four multinational manufacturing companies with a similar distribution base. Northrop Grumman Systems Corporation in the auction and sale of its Canadian Navigation and Space Sensors business to L-3 Communications Corporation and a related reorganization and supply arrangements. A U.S. based financial institution in a proposed acquisition from a securitization vehicle of a portfolio of secured loans. British Broadcasting Corporation in its joint venture with Discovery Communications and Netstar to establish the Animal Planet specialty television channel and its joint venture with Alliance Atlantis Communications to establish the BBC Kids specialty television channel. Iceberg Media in its purchase of assets from Chum Limited and a related advertising rights agreement in consideration for privately placed shares in the capital of Iceberg Media. Iceberg Media in its strategic alliance with Universal Music Canada, including a license to stream Universal sound recordings, and a related private placement of shares and warrants in the capital of Iceberg Media. Rockwell International Corporation and Rockwell Collins, Inc. in the reorganization and spin out of Rockwell Collins to public holders of Rockwell International shares. Rockwell Automation in its acquisition of assets and sale of its shares of Dynapro Systems Inc.
Rockwell Automation Canada in its reorganization to separate its Automation Control Systems and Power Systems businesses in Canada. Lindstrom LLC, a master distributor of specialty fasteners and a portfolio company of Harbour Group, in its acquisition of Stelfast, Inc., a master distributor of specialty parts. Marshall Excelsior Co., a US portfolio company of Harbour Group, a privately owned, operations-focused company based in St. Louis, Missouri, in its cross-border acquisition of BASE Engineering, Inc., a company based in New Brunswick that designs and manufactures high-quality remote, automated emergency shutdown and operational controls for the liquefied petroleum gas (LPG) and refined fuels industries. Accella Performance Materials, a portfolio company of Arsenal Capital Partners, in connection with its acquisition of substantially all of the assets of Premium Spray Products Canada LP, a manufacturer of spray foams for insulation and roofing. Royal Adhesives & Sealants, a portfolio company of Arsenal Capital Partners, in connection with its acquisition of substantially all the assets of Chemque, a supplier of polyurethane foams and adhesives. A U.S. private equity firm in connection with the sale of its $105 million ownership interest in Convedia Corporation to RadiSys Corporation by way of plan of arrangement. A U.S. private equity firm in a cross-border acquisition of a water valve manufacturing division of a U.S. public company. A U.S. venture capital group in its investment in a Canadian software company and a related marketing agreement. A Canadian private equity firm in connection with the creation of a cross-border fund. A U.S. venture capital firm in its investment in a U.S. technology company with an operating subsidiary in Canada including the structuring of a capital and governance structure that preserves the rights of the U.S. investors and ensures the Canadian entity becomes a Canadian controlled private corporation. A Canadian based manufacturer of plastic compounds in its negotiations with several merchant banks and an equity investment by BMO Equity Partners. Numerous family-owned and other closely held private companies on shareholder arrangements, governance and succession matters. A Canadian reporting issuer and its board regarding an oppression action by a shareholder group based, in part, on allegations of insider trading by a major shareholder just prior to a press release announcing a public offering by the issuer. Issuers and underwriters in numerous public offerings and private placements by Algoma Steel, ATS Automation Tooling, Canadian Pacific, Getchell Gold Corporation, Hudson’s Bay Company, Iceberg Media, Just Energy Group, Russel Metals, Suncor and Thomson Corporation. A committee of noteholders in connection with the restructuring of the $32 billion market for Canadian Structured Asset-Backed Commercial Paper. Algoma Steel Inc. in a series of domestic and cross-border equity and high yield debt offerings under the MJDS System totalling approximately $600 million. A control block holder of an offshore U.S. listed company in a proposed monetization of its Exchangeable Shares in a Canadian subsidiary of the public company and Ordinary Shares and American Depositary Shares of the public company using a costless collar and a loan and advice in connection with the assessment of proposals of investment banks bidding on the transaction. An international U.S. based insurer in the structuring and documentation of a retirement compensation arrangement structure and a related secured lending program. The equity derivatives groups of three Canadian financial institutions regarding various equity derivatives, equity monetization transactions and TSX trading rules. A Canadian broadcaster in connection with an OSC investigation regarding an advertisement of securities transmitted by the broadcaster.